More and more people are choosing natural or organic products for their personal hygiene. If using all-natural products is important to you for washing your hair or cleaning your face, it should be even more important to you when it comes to cleaning your teeth. Your toothpaste is a product you put inside your mouth – why not find the safest ingredients possible. It is a common misconception that natural toothpastes don’t clean as well as conventional toothpastes. While not all natural toothpaste brands are created equal, you’ll find that nature really does provide some highly effective solutions for clean and white teeth! Natural toothpastes eliminate the fillers, chemicals and synthetic ingredients that make the toothpaste foam up or produce suds. Instead, natural toothpastes rely on natural herbs and mints to kill germs, fight bacteria, freshen breath and scrub off stains. 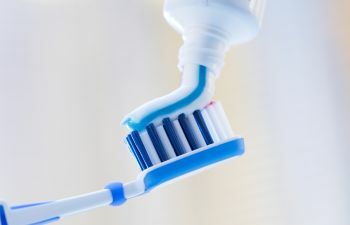 You may not see the visible suds like you would in a conventional toothpaste, but don’t let that fool you into thinking it isn’t doing its job. Natural toothpastes can often address the same variety of oral health concerns that regular toothpastes do. In other words, you don’t have to sacrifice whiter teeth or fresher breath by switching to an all-natural paste. Some natural toothpastes also contain some essential oils that are known for fighting canker sores and gum disease. If you want to attain a healthy and dazzling smile without the added harsh ingredients or chemicals in your toothpaste, a natural toothpaste may be the best solution for you. In all cases, speak with your dentist about your oral care needs. Many natural toothpastes do not contain fluoride, so it is important that you are getting your fluoride source somewhere else. At Green Dental of Alexandria, we are known for our eco-friendly dental practices. Therefore, you can trust that we value safe and chemical free dental products. We are happy to share our knowledge of natural toothpastes and help you determine what is best for your unique smile!